After their last one-off project - the golf club-inspired BMW Z4 ‘Slingshot’, which received great acclaim - it seemed like it was just a matter of time before the people of MWDesign Technik would return for yet another tasty dishing of a one-off BMW Z4. Apparently, these guys are true to their word. Inspired by the work done on the Slingshot Z4, a client of MWDesign requested the tuning firm to work their magic on his brand new BMW Z4. Not one to turn down an opportunity, the boys from MWDesign took the offer and began working their magic. Just like the “Slingshot” Z4, the BMW Z4 “White Flame” draws inspiration from another golf club, the Taylormade R-11 driver. In designing the car, MW Design made sure that it translated some of the key design cues and coloration of the club into the car. Seeing as the R-11 features a white, red, and gray theme, MWDesign decided to put in the same color scheme in the Z4, albeit in a subtle fashion to maintain the car’s sleek and clean look. Details on the BMW Z4 White Flame after the jump. 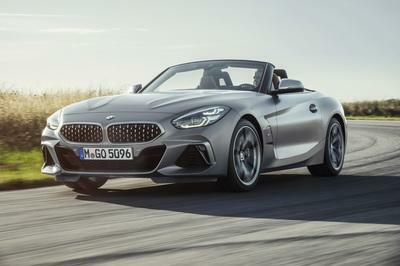 The Z4, which already came in an Alpine White/Coral Red two-tone color, was given an “intermittent color blocked pinstripe theme” that stretched from the nose of the Z4 and followed the car’s distinctive character lines. From there, MWDesign enlisted the help of Blitzgear to place two silver pinstripes in a near intersecting style, highlighting the two main character bulges on the side of the car. Finishing off the color scheme was the R-11’s trademark pinstripe, which was also done on the rear rollbars of the Z4 with the body initially being painted alpine white before adding the striping and red triangle patterns. MWDesign also gave the Z4 a new polyurethane front lip spoiler courtesy of 3D Design and a set of 20” Forgestar F10 wheels, which was painted in silver and comes with a polished outer lip and a carbon fiber center cap. The wheels were then fitted with a set of Toyo TI-R tires in 245/30/20 (front) and 285/25/20 (rear) configurations courtesy of Toyo Tires. Complementing the extensive aesthetic work done on the Z4, MWDesign also gave it a nice performance upgrade by fitting in a Milltek 2×100mm Catback Exhaust System and powder-coated in a matte silver, ceramic-like finish. Together with the new exhaust and the Dinan Stage II ECU upgrade, the “White Flame” Z4’s power output was bumped from 300 horsepower to 400 horsepower. 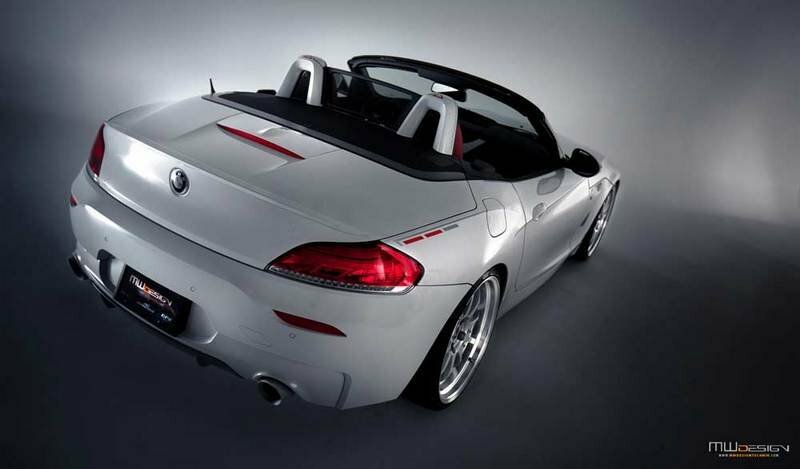 The "White Flame" BMW Z4 is a one-off car that was done exclusively for one client - and a friend of the tuning firm, no less. So as you can expect, no pricing was given for it. However, if you’re really interested, you can just send your BMW Z4 - if you have one - to these guys and request to have something like this done it. Being a one-off car that was designed exclusively for one person basically shoots down all other cars that can be considered as ’competitors’. So instead of filling this space with the Z4’s real-world rivals, we decided to just see which one of MWDesign’s work we enjoy better: the "Slingshot" Z4 or the "White Flame" Z4. Aesthetically speaking, we liked the clean and subtly aggressive look of the "White Flame," especially the pinstripe pattern that was designed as inspiration to the Taylormade R-11 golf club. Having said that, we love the combination of black and lime on anything, especially on a high-powered sports car. So by sheer preference on color-combination, we’re gonna give the nod to the Slingshot. In terms of performance, it’s not even close. The White Flame’s 400-horsepower output is mighty impressive, but the Slingshot can be offered with STETT’s FMIC intercooler that produces in excess of 620 horsepower. You do the math. hmm. I thought they will be focused on the M series? The speed performance of the car is quite impressive. Well, I guess this would perform good since it was based from the Mustang! this car seems to be an awesome production! 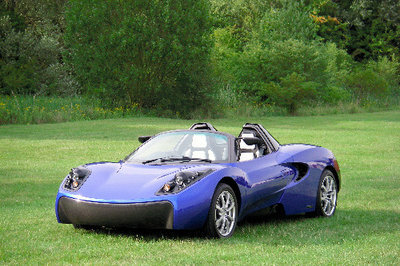 I like the sportiness of this car and I think this one of their concept that is line for future production. 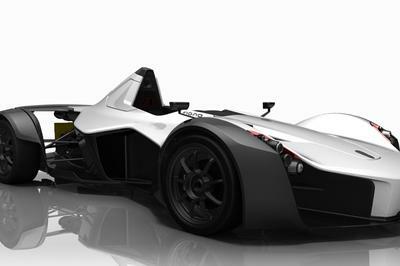 I can’t wait for the debut of this car. I find this concept somewhat similar with the April Fool’s prank of this automaker the "Royal Edition". And I find the White Flame customization interesting, this is would a nice thing to try on. 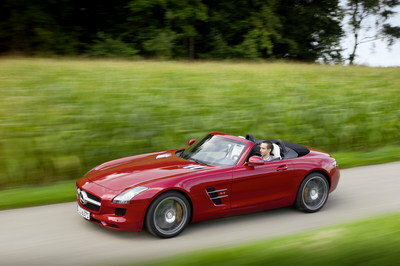 This is the first time that i heard a car that is exclusive for only person. BTW, i love also the combination of the color and the classy look of the interior. Aesthetically, i like how this car looks! From the bumper, kidney grille, headlights and the shape of this car makes it more aggressive! But i just wonder if the hard top roof give more weight to this car? I really cant get over the design of this one. It is actually rather simple when compared to other tuneups but it still has a certain unique feel to it. This thing so boring! Look like the previous Z4 but the character and personality has been removed. They should come up with more innovative and aggressive design. Well, this one will surely remain as one of the most unique car works that I have seen. Hope the tuning company has a change of heart and decide to put this as one of their offerings. 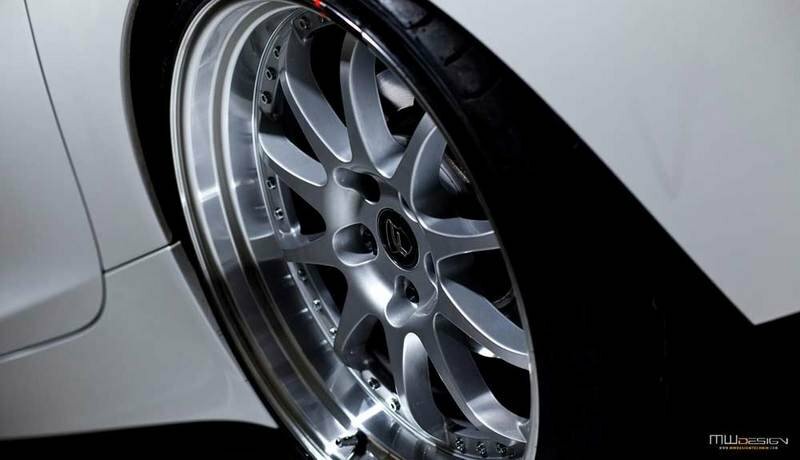 Modern minimalist design is an important influence in the tuning aesthetic at MWDesign Technik. Each vehicle is a unique project that can be expressed through layers of texture with materials, color and specific custom parts. Our E89 “White Flame” project is a follow up to the highly successful black and lime green “Slingshot” project that was featured in many prestigious publications including Performance BMW magazine. We wanted our next project to be totally different while being clean, complex and exciting at the same time. Nice, this is definitely one of the best looking Z4’s that I have seen. It has a unique character that’s all its own. Too bad that this is already owned.